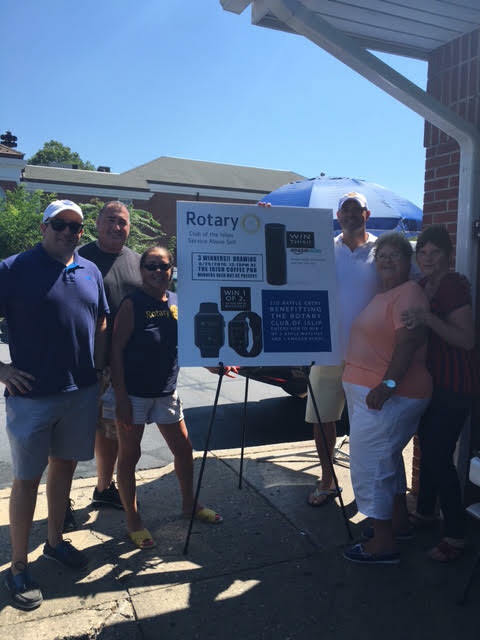 Islip Rotarians sell over $1000. of raffle tickets to locals on Sunday 8/14 in front of two local East Islip breakfast hot spots; Stanley's Bakery and Stuff-a-Bagel. All proceeds go to various local charities and scholarships. Drawings will take place during a general Rotary meeting at the Irish Coffee Pub on Thursday, 8/25 at 12:15pm. There will be 3 Winners! !